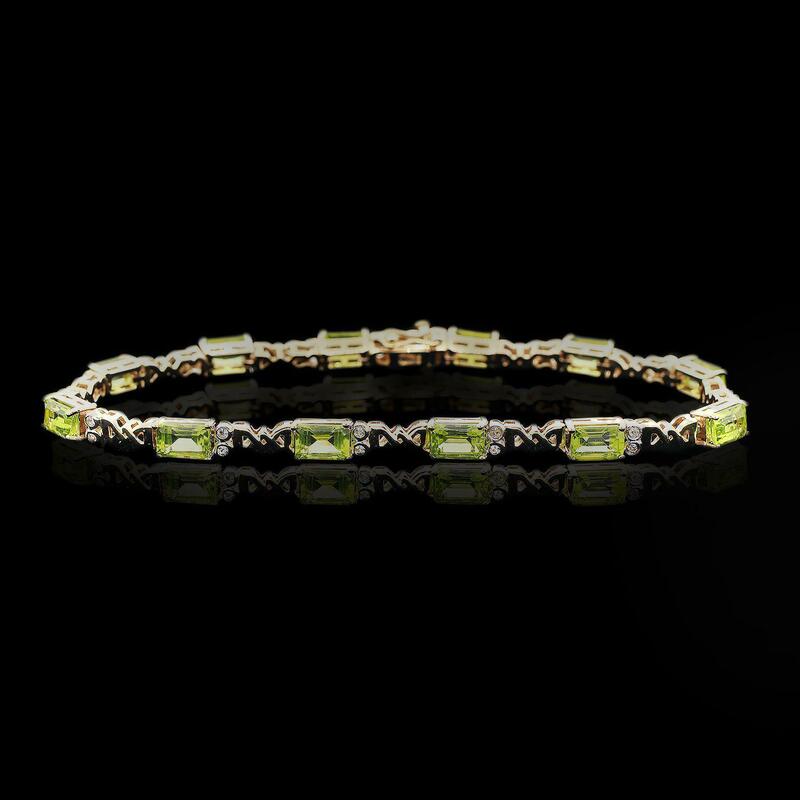 Eleven prong set rectangular standard step cut natural peridots, measuring 6.00 x 4.00 x 2.60mm, approximate total weight of 7.20ctw., clarity is eye clean, type II, medium, moderately strong, yellowish green color, (GIA yG 5/4), cut is good. Transmitting light with no distortion, transparent. Measurements are an average for the group. Graded in the setting. Twenty-two bezel set round cut natural white topazs, measuring 1.30 - 1.30 x 0.85 mm, approximate total weight of 0.24ctw., clarity is eye clean, colorless, white color, (GIA W 0/0), cut is good. Graded in the setting. Total Weight of Colored Stones 7.44ctw.